We’re back with part 6 of our 101 Uses for Rubber Stamps series! Part 6 brings great ideas for entrepreneurs and small businesses. Here are some more great ideas to help you narrow down what kind of stamp you need. Are you an artist or designer? Sign your work in seconds with a custom rubber stamp. You can sign paintings, print designs, and custom clothing such as t-shirts, sweatshirts, and more with your custom stamp. Claim your work and let every piece you sell become promotional material for your business. Mass produce your own business cards and include one in every shipment of your products. Make your cards unique and stand out from the crowd. Draw your customers in with a business card that speaks to the individuality of your small business. Breaking into the market is hard for small businesses. Getting maximum exposure is vital to success. Stamp your company logo on every piece of mail and merchandise that passes through your hands. Use your custom stamp to build your brand and grow your business. Today every business—especially small businesses–needs social media if they are going to keep up with the competition. This is especially vital for small business breaking into the market. Use your custom stamp to include your website and social media handles on promotional materials. Let your customers know exactly where to find you online. Own a shop or cafe? Use a loyalty card system to reward loyal, repeat customers. Brand your cards with your logo so they don’t forget your brand. Remind them where to come to get great deals and the best prices. Make them feel like they are a valued part of your business rather than just another number on a spreadsheet. Fraud and identity theft are any business’s worst nightmare. There are an alarming number of people who wouldn’t think twice about taking advantage of a vulnerable small business—which is, unfortunately, the preferred target of these unsavory individuals. Use our identity theft protection stamp to protect yourself, your business, and your employees from criminals. Not happy with the size options of other pre-inked stamps? Need more room for your logo or graphics? Look no further than our Trodat Maxlight pre-inked stamps. Maxlight stamps are designed to guarantee precision. The stamp housing is made to be as low profile as possible, allowing you to more accurately judge the impression area of the stamp. This ensures more precise and higher quality impressions. These stamps are also designed with convenient, mess-free refilling in mind. Just snap off the cap, add a few drops of ink and you’re back in business. All of our rubber stamps are eco-friendly. These stamps are manufactured using a low-emissions manufacturing process. Low-emission manufacturing uses no added chemicals. So, you can feel good about making the right purchase for your own convenience while still doing the right thing for the environment. We carry this stamp in three sizes. The Maxlight XL2-115 has a surface area of 11/16 x 1 15/16. The Maxlight XL2-145 has a surface area of 5/8 x 2 7/16 and the Maxlight X33 has a surface area of 1 3/4 x 3 3/4. The XL2-115 and the XL2-145 have 5 lines of text with a lot of room left over for a custom logo or graphic. As with all of our custom rubber stamps, you can choose a graphic from our logo library or upload your own. The X33 — the biggest stamp by far — has 12 lines of text and enough room to spare for a sizeable graphic. Text and font on all three stamps is fully customizable and comes with the standard pallet of ink colors to choose from including; black, blue, green, purple, and red. Order your new Trodat Maxlight stamp today! Need some help figuring out which Maxlight stamp will fit your specific needs? Give us a call at 1 (850) 7STAMPS or visit us online. Our team is here to assist in any way we can. For more information on refill ink, check out our article on How to Choose the Right Refill Ink. 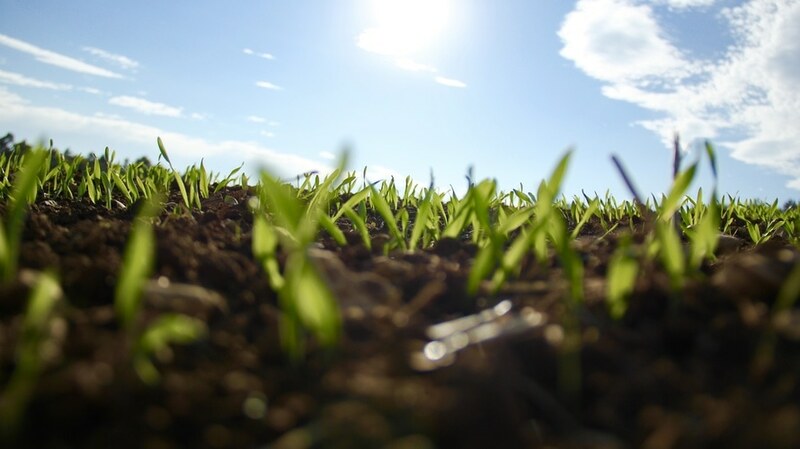 For more information on environmentally friendly rubber stamps, check out our article on Environmentally Friendly Trodat Rubber Stamps. Summer is in full swing. One of the biggest American summer holidays is just around the corner: Independence Day, AKA July 4th. 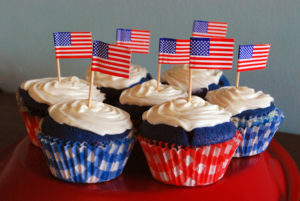 July 4th is a family oriented holiday celebrated all across the United States with festivities that include family reunions, concerts, barbecues, picnics, parades, and carnivals. All these activities can benefit from a quality rubber stamp. Getting the whole family together for July 4th weekend for a picnic or barbecue? Send out personalized invitations to all your guests and make individual place settings to fit the occasion. Our Trodat Printy 4914 is a popular option for both invitations and place settings. This self-inking stamp is mess-free and hassle-free, made of top quality, eco friendly materials. It comes with a 1″ x 2.5″ plate size and a full array of customization options, including the ability to upload your own graphic or logo as well as the option to choose a preexisting graphic from our logo library. It also comes in black, blue, red, green, or violet. Planning an event such as a concert or carnival where admission is restricted to ticket holders only? A Trodat Printy 4642 is the perfect solution for keeping track of who paid the admission fee and who did not. The simple, round, self-inking stamp is mess-free, efficient and helps your staff discretely weed out the line jumpers. This stamp has a 1.75″ diameter plate and comes with a full array of customization options. This includes color (black, blue, red, green, or violet) and uploading your own graphic or choosing one from our logo library. Are you putting on an Independence Day parade? Do you want to spread the word with colorful posters around town? Add a personal touch to your design with our Trodat Print 4926 self-inking stamp! This seasonal stamp is fully customizable to meet you personal needs and preferences. Don’t know which rubber stamp would best suit your needs? Give us a call at 1-(850)-7STAMPS or contact us online today! Our rubber stamp experts are standing by to assist you in finding the perfect stamp to fit your unique needs. Here at Rubber Stamp Station, we’re not only concerned about stamps, but also with protecting the environment from harmful toxins. So here is our list of quality rubber stamps that are also environmentally friendly. Whether you’re looking for a text stamp, a dater, or one of our ever-popular, fully customizable, self-inking stamps, we are stocked with the widest variety of stamps on the market. So, you can be kind to the environment while still being kind to your wallet. The Trodat 4914 Printy is great for everyday use. It is made with post-consumer plastic, which is much more environmentally friendly. With a plate size of 1” x 2-1/2”, the 4914 is versatile and easy to transport wherever you go! It also features our signature ink pad replacement system that is quick, simple, and mess-free. This high-quality line dater will save you time both at work and at home. With a date size of 5/32”, you will get a clear, clean impression every time. Best of all, you can feel good about your purchase. This stamp is made from a minimum of 70% recycled material, while maintaining the same high quality as all of our other Trodat stamps. This great stamp is a favorite among scrapbookers. It is fully customizable with your own graphic or logo as well as 13 different fonts options for you to choose from. It is another handy self-inking stamp that is mess-free, fingerproof, and scratch resistant. Of course, to make this list it also has to be eco-friendly. These Trodat stamps are perfect for keeping your file organized in both your home and office. They are made from a minimum of 65% recycled plastic and are recommended by the World Wildlife Fund thanks to their climate-neutral status. They include custom messages such as PAID, POSTED, FAXED, COPY, RECEIVED, DEPOSIT ONLY, and PAST DUE. As always, if you are having trouble finding the right stamp for your needs or if you have any questions, don’t hesitate to give us a call at 1 (850) 7STAMPS. Our rubber stamp experts are standing by ready to assist you with all of your rubber stamping needs. Writing down the same string of numbers over and over can get monotonous — not to mention the risks for carpal tunnel. But never fear! Trodat is here to save the day again with their numberer stamp. Now you can number those pages and keep track of inventory without risking the health of your hands and wrists! There are three different rubber numberer stamp options from Trodat. This stamp is part of the CO2 climate-neutral line of stamps developed by Trodat so the environment will appreciate it just as much as your hand will. This line stamp contains six number bands that are individually adjustable. The professional numberer stamp is available in black, green, red, blue or violet ink. It is good for 5,000+ clear, precise impressions before needing more ink. Each stamp comes equipped with 6 number bands that stamp at the size of 5/32”. If you are looking for quality and precision, look no further than the Trodat 5558 self-inking professional numberer stamp. It’s the perfect solution for accountants, bank tellers, entrepreneurs, and anyone else who works with numbers on a daily basis. This stamp comes with eight easily adjustable number bands and is customizable with black, red, blue, green or violent ink. It is good for 5,000+ clear impressions before you need to worry about any refill ink. The stamp impression is approximately 3/16”. If you want the biggest, baddest numbering stamp on the block, look no further. The Trodat 55510 number stamp includes 10 adjustable bands of numbers. A self-inking stamp that is good for thousands of clear impressions before needing refill ink, it comes with the option of red, blue, violet, green or black ink. This numberer leaves a stamp impression of 3/16”. No matter which stamp you choose, we know you will love it! As always, we here at Rubberstampstation.com are your number one source for quality rubber stamps at bargain prices. If you have any questions or concerns, please do not hesitate to give us a call at 1 (850) 7STAMPS! At Rubber Stamp Station, we dedicate ourselves to helping you organize your home and office. There’s no shortage of rubber stamps for every occasion. So, this week we’re going to focus on the best rubber stamps for organizing your office: our Trodat Stock Message Stamps. Make your mark and keep your tasks organized with this Trodat message stamp that reads “ENTERED”. Featuring a blue checkmark to the left of the bright red verbiage, this two-color stamp leaves no room for interpretation. To make it even better, this stamp is capable of thousands of clean, clear impressions before needing to be re-inked. For a business, there is nothing more important than keeping accurate invoices. Avoid any confusion with this Trodat two-color stamp that reads “PAID.” So, avoid any miscommunication and keep those accountants happy with a stamp that makes thousands of clear impressions. Have a document ready to mail? Our “POSTED” two-color rubber stamp makes organizing your office a breeze. Made from 65% recycled plastic, our stamps are recommended by the World Wildlife Fund thanks to their climate-neutral status. This Trodat message stamp features “FAXED” in bright red letters on the right and a relevant icon in blue on the left for a message that leaves no room for interpretation. 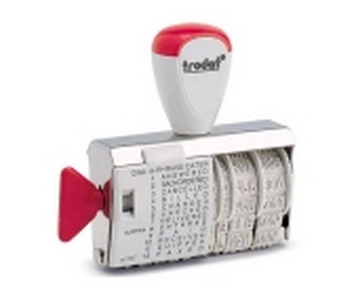 So, save yourself time and frustration by organizing your paperwork the right way with this long-lasting, Trodat stamp. Trodat makes organizing your paperwork easier than ever with this two-color, self-inking message stamp that reads “COPY.” Features our special ink pad grips that make for a clean and easy ink pad replacement. The red and blue ink stand out on any paperwork, making it a necessity for every office. Stop marking your books without marking the documents themselves! This “RECEIVED” two-color rubber stamp will save your accountants hours of hassle and costly errors. So, make your accountants love you by gifting them with this awesome, must-have stamp for every office. Ensure that there is no confusion with Trodat’s bold two-color “DEPOSIT ONLY” stamp, because this self-inking rubber stamp makes a commanding impression with red and blue ink. Because of special ink pad grip technology, it is easier than ever to clean to replace the ink when necessary. Ever mix up a pile of Past Due invoices with those that are already paid? Well, you’ll never have to worry about that nightmare again, because with Trodat’s “PAST DUE” two-color rubber stamp, your mistake fixes itself in a matter of minutes. Still have questions about these items or any other products available through RubberStampStation.com? Don’t hesitate to contact us. We look forward to making your life just a little bit easier with quality Trodat products! BYOM (Bring Your Own Mug) – If you frequent the local coffee shop, invest in a mug or a reusable to-go cup and bring it along every time you get coffee to cut down on waste from single-use cups. Not only will this help the environment, but it may also save you money – many coffee shops have started offering a small discount to customers who bring their own cup. Print smart – When printing things out at home or work, be sure to select the double-sided option to reduce your paper consumption by half. To save even more paper, lessen the margin settings on documents before sending them to the printer. To cut down on your ink use, print materials in draft mode. The ink will be a bit lighter than normal, but you’ll still be able to read it fine. Invest in high-quality electronics – When it comes time to purchase a new computer or other electronic device for your office, buy something that will last you for years. By doing so, you’ll save yourself money and frustration in the long run and reduce the amount of e-waste that you generate. Reuse shredded documents – Before you dispose of shredded paper, consider this – these small paper scraps are perfect for padding fragile items when shipping them, and they’re far more sustainable than styrofoam packing peanuts! 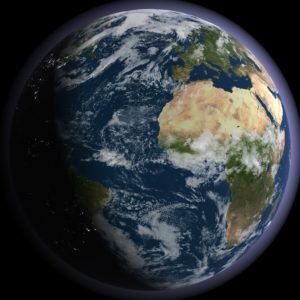 Buy Earth-friendly rubber stamps and office supplies – Another way to reduce your environmental impact is to buy office supplies that are made with respect for the planet. Here at Rubber Stamp Station, we make it easy to do so by offering a variety of Earth-friendly rubber stamps from the trusted brand Trodat. These stamps are made with up to 65% post-consumer recycled plastic and 100% green electricity. Plus, we guarantee that eco-friendly Trodat stamps will serve their purpose for years to come, as they are expertly crafted to provide thousands of stamp impressions. These changes may seem small and simple, but they will go a long way towards creating a cleaner environment! Buy Your Earth-Friendly Rubber Stamps Today! Are you ready to feel good about the contributions you are making to save the environment? It’s time to place your order for Earth-friendly rubber stamps! You can do so in two simple ways: order online or give us a call at 1 (850) 7STAMPS. And if you’d like to learn about some of the other products we offer, check out our post on logo rubber stamps. We hope to hear from you soon, and we wish you a wonderful Earth Day! Utilize energy-saving computer settings – Though you may not realize it, computers use a lot of energy. To cut down on unnecessary energy usage, you’ll want to make sure that your computer is set to go to sleep when it hasn’t been used for a certain amount of time (most people choose five minutes). Plus, you should power down your computer each day when you leave work. Taking these steps will benefit the planet while saving your company money on electricity. Purchase plants for your office – Bring an element of nature indoors by placing plants throughout your workplace. Doing so will purify the air you breathe by adding oxygen and absorbing carbon dioxide, thereby helping everyone at your company to think more clearly. Plus, the plants will reduce dust and man-made toxins, resulting in healthier and happier employees. Find alternatives to printing – If you’re in the habit of printing out every single document that you receive or write up, think about why that is. Do you have a hard time reading documents on your computer screen? Try switching to a monitor with a glare-free matte screen that is easy on the eyes. Are you worried that your important files will get lost in cyberspace? Create an organized digital filing system that allows you to pull up your documents whenever you need them. Opt for greener ways of getting to and from work – When it comes to traveling between work and home, there are several ways to reduce your greenhouse emissions – ride your bike, take public transportation or carpool with coworkers who live nearby. The planet (and your wallet) will thank you! Invest in planet-friendly rubber stamps – Yet another way to be more eco-friendly at work is to purchase office supplies that are made with the environment in mind, such as Trodat’s planet-friendly rubber stamps. Produced with up to 65% post-consumer recycled plastic and 100% renewable energy, these stamps are some of the greenest office supplies out there. Not to mention they are fully customizable and designed to last! As you can see, it’s easy to be eco-friendly at the office! Ready to do your part in saving the Earth by using Trodat’s planet-friendly rubber stamps? Head over to our website to place your order online. And if you need assistance, just call 1 (850) 7STAMPS – we have friendly associates standing by, ready to answer any questions you may have. Thanks for considering Rubber Stamp Station as your source for the best planet-friendly rubber stamps! A few weeks ago, we gave you a summary of the reasons why Trodat has come to be one of the leading stamp brands on the market today. Now, with Earth Day right around the corner, we’d like to go a little bit more in-depth and tell you how the company is working to preserve our planet with eco-friendly Trodat stamps. Using energy sustainably – At Trodat, energy is preserved through the use of fresh air to cool injection moulding machines. Furthermore, heat is recycled after production to heat buildings. Perhaps best of all, 100% of the electricity used is supplied by renewable energy. Recycling whenever possible – Because Trodat believes in responsible production, the stamp industry leader makes sure that approximately 80% of production waste gets reused. In addition, it recycles all parts that have not been mechanically stressed. Limiting CO2 – Since 2001, Trodat has reduced its CO2 emissions tremendously by discontinuing its use of oil and by limiting its use of fossil fuels, electricity, and natural gas. The company has also lowered its CO2 emissions by using up to 65% post-consumer recycled plastic for stamp models such as the Printy 4.0. Utilizing only safe, quality materials – All components of Trodat stamps are created without dangerous PVC, and raw materials are always in compliance with the Restriction of Hazardous Substances (RoHS). Plus, Trodat thoroughly screens all distributors of its stamps for quality and environmental certification. 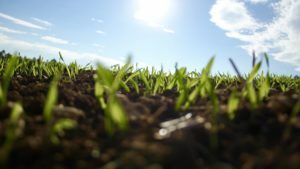 For these reasons and many more, Trodat has gained a reputation for its commitment to making the stamp-creation process more sustainable and “green” in every possible way. RSS Offers a Huge Variety of Eco-Friendly Trodat Stamps! If you’re looking for the best selection of Trodat’s eco-friendly stamps around, you’ve definitely come to the right place. Here at Rubber Stamp Station, we keep our website stocked with a variety of environmentally conscious Trodat stamps for many purposes. Whether you’re looking for a dater stamp, a return address stamp, an endorsement stamp, or some other product, chances are we have an eco-friendly Trodat stamp that will do the job perfectly. To view our full selection of Trodat stamps, head over to our website now. Earth Day is Almost Here – Order Your Eco-Friendly Trodat Stamps Now! Want to lessen the impact you make on the environment just in time for Earth Day 2016? It’s time to purchase Trodat eco-friendly stamps from Rubber Stamp Station. To do so, simply place your order online or call 1 (850) 7STAMPS. We look forward to providing you with stamps that you can feel good about using! Are you on the hunt for high-quality personalized rubber stamps? Your search is over now that you’ve found Rubber Stamp Station! We offer endless options for designing your very own personalized rubber stamps on our easy-to-use website. Choose the shape and type. Select whether you’d like your stamp to be rectangular or round and whether you want a text stamp or a date stamp. Pick a template. This is where the customization begins! You can select one of our pre-made templates or create your own. Enter whatever information you’d like to appear on your personalized rubber stamp. Some ideas are your address, email address, website, etc. Create your design. To ensure that your stamp meets your vision perfectly, we give you full control over its design. We allow you to pick the text size and font, adjust the alignment, create a border and more. In addition, you get to choose from six vibrant ink colors! Add a graphic. If you’d like your personalized rubber stamp to have a graphic, this is your opportunity to add it! You can choose one from our extensive library or upload your own. Select your product. Now that you’ve finished designing the stamp of your dreams, it’s time to choose what stamp model you’d like. Depending on the type of stamp you’ve created, we’ll offer you a few suggestions and ask you to select one. And that’s all there is to it! Now all that’s left is checking out. To do so, simply create a free account with Rubber Stamp Station. Already have one? Just sign in, and you’ll be ready to purchase your personalized rubber stamp and any other stamp supplies you’ve added to your virtual shopping basket! Don’t Wait – Order Your Stamps Today! Now that you’ve read this post, you’ve learned everything there is to know about the process for creating a personalized rubber stamp on our online portal. But if you experience any difficulties while navigating our website, we’ll be happy to help you out! Just give us a call at 1 (850) 7STAMPS for assistance from a helpful customer service representative. Eager for more information from RSS? Learn about our customizable monogram stamps. We look forward to hearing from you in the near future!